ISLAMABAD — In the past 10 days, two dramatic events — the government’s capitulation to a violent protest by radical Muslims and the release from house arrest of an anti-India militia leader — have crystallized the sway that hard line Muslim groups increasingly hold in Pakistan, a nuclear-armed state whose military leaders claim to be fighting extremist violence. The freeing of Hafiz Saeed, a Islamist cleric accused of masterminding a deadly rampage in Mumbai nine years ago, came as no surprise. Although denounced as a terrorist by the United Nations and the United States, Saeed enjoys a large following in Pakistan as a fiery champion of Muslim rights in Kashmir, the disputed border region with India. He has been repeatedly detained and released by the courts, a sign of Pakistan’s often-contradictory efforts to secure both domestic Muslim loyalty and international support. In contrast, the chaotic scenes in late November of angry Muslim demonstrators throwing stones at police near the capital, then rising up across the country to protest a minor change in an electoral law, shocked the nation and raised the specter of mass religious unrest — a permanent worry in an impoverished nation of 207 million, 95 percent of whom are Muslim, most from the same Sunni branch as the protesters. But the quick resolution of the problem also raised worrisome questions about the long-term capability of the Pakistani government, a fragile democracy whose prime minister was recently ousted, to push back against religious extremism and the risks of bringing in the powerful military to settle civilian disputes. Saeed was released Nov. 24 after a provincial court found “insufficient evidence” to link him to the four-day Mumbai terror spree in 2008 that killed 164 people. This time, the court action came amid intense pressure from the Trump administration on Pakistan to prove it is not harboring Islamist militias. It also met with especially sharp denunciations from India, an archrival whose Hindu nationalist prime minister has developed a warm relationship with the new administration in Washington. American officials demanded that Saeed — who was detained in January under U.S. pressure — be arrested again. The U.S. Embassy here expressed “serious concerns” over his release and charged that his now-disbanded militia, Lashkar-e-Taiba, was responsible for the deaths of “hundreds of innocent civilians” in numerous terrorist attacks. Six victims in the Mumbai bombing and shooting attack, which Indian and U.S. officials believe was carried out by Lashkar-e-Taiba commandos, were U.S. citizens. In Pakistan, though, Saeed remains a force to be reckoned with and a political survivor who has continually reinvented his movement, changing its name and founding a charitable offshoot that helps people in emergencies. In October, after years of denouncing electoral politics, he also formed a political party, and its candidate performed better than expected in a race for parliament. After he was released, he triumphantly returned to his Friday pulpit in Lahore and demanded that his name be removed from the U.N. sanctions list. While Saeed’s supporters were celebrating his return to the public arena, a tense drama was playing out in the capital between another religious firebrand and government security forces. The confrontation that erupted early on Nov. 25 quickly escalated into a nationwide protest surge and ended 24 hours later in triumph for the protesters and embarrassment for the government, which accepted virtually all of their demands. In contrast to Saeed, a well-established though controversial leader in Pakistan, the recent protests thrust a little-known, rabble-rousing cleric into the news. Within 48 hours, Khadim Hussain Rizvi had exhorted his supporters to violence, sparked mini-protests across the country, stared down civilian officials, bargained hard with the army — and became a household name. Unlike Saeed, Rizvi is not associated with armed militant groups. His movement is built around reverence and love for Muhammad as Islam’s final prophet. On Friday night, just one week after the angry protests subsided, Pakistani Muslims everywhere jubilantly celebrated Muhammad’s birthday, thronging streets hung with dazzling lights and gathering around tents where devotees recited chants glorifying him. But Rizvi’s movement is also harsh and extreme in its views. It has built a cult around a man who assassinated a provincial governor for religious reasons, believes blasphemers should be executed and crusades against Ahmedis, a small religious minority that follows a later prophet. The protests were raised against a change in electoral laws that softened requirements for candidates to avow Muhammad as the final prophet — a move that Rizvi’s group suspected was aimed at increasing the political participation of Ahmedis. The price of pacifying Rizvi and his followers, many Pakistani leaders and commentators said, may be the emboldening of other fanatical Muslim groups, a further weakening of civilian authority, an increased potential for the military to intervene, and a rise in both sectarian hatred and conflict between rival Sunni schools. 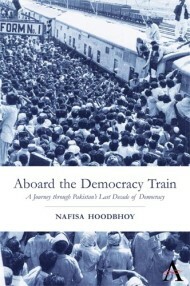 Some warn that the foundations of Pakistan’s fragile democracy have been shaken. Others suggest that the episode signifies a growing confluence of interest between hard line religious groups and the military, whose leaders have vowed to stay out of politics but are known to be unhappy with both the ruling party and its top electoral rival, the movement led by cricket legend Imran Khan. Much of this drama will play out in Punjab province, the country’s most populous and wealthy region, and its capital, Lahore. Punjab is the home base of the ruling Pakistan Muslim League, headed by the former prime minister, Nawaz Sharif. The party has been riven by divisions and disarray since Sharif was ousted by the Supreme Court in July and will be fighting for its political life next year. The Lahore area is also the headquarters of Saeed’s operations, as well as Rizvi’s smaller Movement in Service to the Messenger of God. The provincial government and courts have long been criticized for coddling Islamic extremists — allowing Saeed to preach freely, radical Islamic students to intimidate university campuses, and hard line sectarian groups to operate. Recently authorities agreed to allow Rizvi’s group to influence school curriculums and blasphemy cases. But that policy of appeasement may have backfired. Both Saeed and Rizvi fielded candidates in the October race to fill Sharif’s seat in parliament — and both won far more votes than expected. Now, the successful protests have put Rizvi’s group in a position to challenge the Sharifs on their home turf and play a central role in next year’s polls.